Welcome to the PlanetDestiny.com Forums! Destiny is an active shared world FPS that's engaging & diverse. PlanetDestiny.com brings the latest Destiny coverage to the forefront. Check out our About Us page for more information. Once registered, you'll be able to take part in community discussions, gaming events, and have access to contests. You will be able to create topics & post replies, live chat, earn awards, customize your profile and much more. Register to get complete access to all of the forum - you'll be glad you did! Welcome to the PD forums! If you're new, introduce yourself to the community and earn your first award. 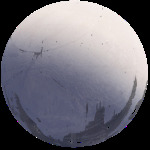 All news, discussion, and information about Bungie's "Destiny" can go here! Show off your loot! Discussion for weapons, armor, and perks. Need fireteam members? DestinyLFG.net has you covered! We also have an ANDROID & iOS APP! I once worked at an orange juice factory. My boss fired me citing I lacked concentration. Finally got a new exotic. Cerberus +1 isn't terrible. No kidding. I think I've seen 7 exotic engrams drop in about three months.